Hello, Welcome! I´m going to start with the midis. The mp3, I´ll try to put them later. If the owner of any file in here visit this section, please, don´t be mad... I´m not stealing your material, i´m just showing it, and I AGREE THAT ANY MATERIAL ON THIS SECTION IS MINE, so, if you are the owner, please, give me your URL, to put it on my links ^_^. If you don´t like your files in this page, please tell it in my guestbook ^_^... By the way, The biggest part of the Real Audio files are the ones I took from "Chuan´s Neon Genesis Evangelion Page", they are property of their respective owners, and they are here just with informative purposes... Thank you, and enjoy it ^_^! 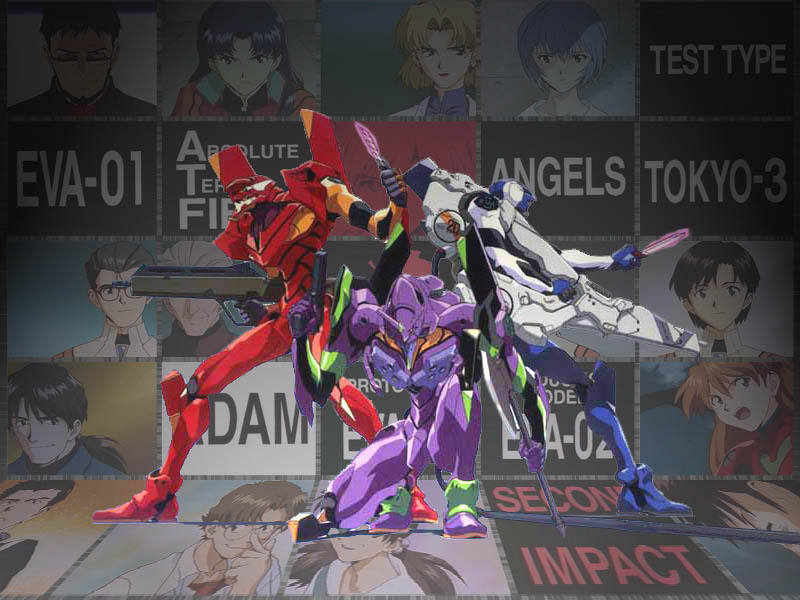 eva1.mid "Cruel Angel Thesis", or in japanese, "Zankoku na tenshin no teeze". evadeath.rpm "Tamashii no Rufuran", the "Death and Rebirth" song! It´s great!